Topaz is a rich golden Dragon detailed with gold and silver metallic-like fabrics and just the right sprinkling of glitter. Topaz measures approximately 7 inches (15 inches with tail). 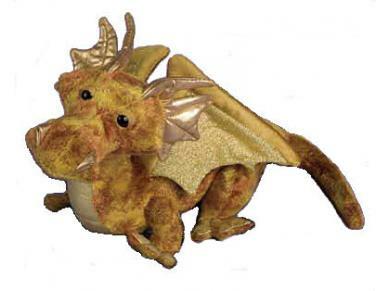 For 50 years, Douglas Company has been making fine quality stuffed animals with unique gestures, endearing expressions and irresistible softness for children of all ages.